This week we have mostly been building…a rectangular open box, with no obvious way out and not a lot to do inside (so basically a jail, in my opinion). It is in fact a new pond for our (ever) expanding fish population. A very lovely and a beautifully built pond, where we can clearly see the inmates. I am having some difficulty viewing their confinement, perhaps because we can now see them going round and round. Their original pond was a bit murky, thus making them invisible, non-existent and so I just didn’t think about them. Maybe I am struggling with this because there is a real similarity to our prisons, rather murky? Very few of us can see what is really going on in there! Self-harm and suicides amongst prisoners are dreadful indicators of poor conditions and, as far as we can see, are all dramatically increasing. Maybe we just don’t really want to see what goes on inside? Often men here estimate that their crime, their sentence, affects around 100 other people, not just victims but families too. Offenders’ partners who suddenly become single, left to bring up the children. Families are left traumatised and often broken. Families get caught up in society’s desire/need to punish the individual. The consequence is the family end up serving the sentence as well. We need to clear the murk and have a national debate about prison; perhaps it’s an even bigger subject than that. Custodial weekend sentences allowing families to remain together? The offender is at home and works during the week, but spends weekends in prison (pilot scrapped in 2006). Increase the use of community sentences, but invest in the support that is required to make this work? Consider Scandinavian examples of excellence? The cost of our failing prison and probation system is estimated at around £13 billion, in reoffending alone. I don’t know how you estimate the cost of family breakdown, but it must be huge. Well, our solution at LandWorks is golf balls (and before you contact the Daily Newspaper, I am not suggesting an 18-hole golf course around the perimeter of prisons, although many have room; I am talking about our fish!). Yes, we have introduced a set of golf balls for the fish to errr…interact with! And they do; so far they have managed to push the balls into various shapes, increasingly representing letters… I think they could be trying to tell us something. 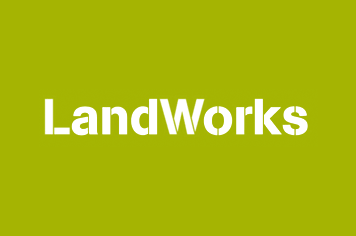 Our Chair of Trustees Ted Tuppen is cycling 443 miles in four days for LandWorks! Not only that, he is match-funding every £1 sponsored. So, every £100 raised becomes £250 after gift aid and match funding. “For a 65 -year old man who doesn’t look great in Lycra, cycling 443 miles through the Scottish Highlands in four days, sleeping in a small tent, is quite a challenge. But I have trained hard for a year and am now determined to complete the Scottish leg of the Deloitte Ride across Britain, starting in Penrith on 14 September and cycling to John O’Groats”.